A unique Treble and Bass tone circuit replaces the single tone knob found on vintage units, these two interactive knobs allow you fine tune the voicing to fit any guitar or bass rig. The Clipping switch allows you choose between classic silicon diode clipping or LED for a more overdriven sound. Fair warning, the LED clipping mode is incredibly loud! 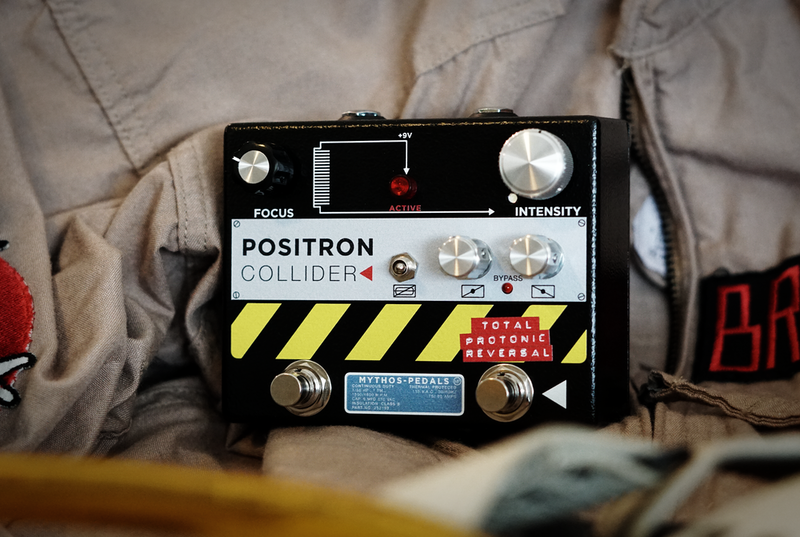 The right footswitch engages “Total Protonic Reversal” mode, which lifts the tone stack for a huge boost in volume and shift in EQ for a more full range fuzz tone. The “Active” LED when the pedal is engaged blinks like the classic Ghost Trap and the LED next to the “Intensity” knob lights as you play and it’s brightness is connected to the amount of gain you’re using! This feature and other refinements were done by my good friend and fantastic pedal designer Lawrence Petross (Check out his work here).